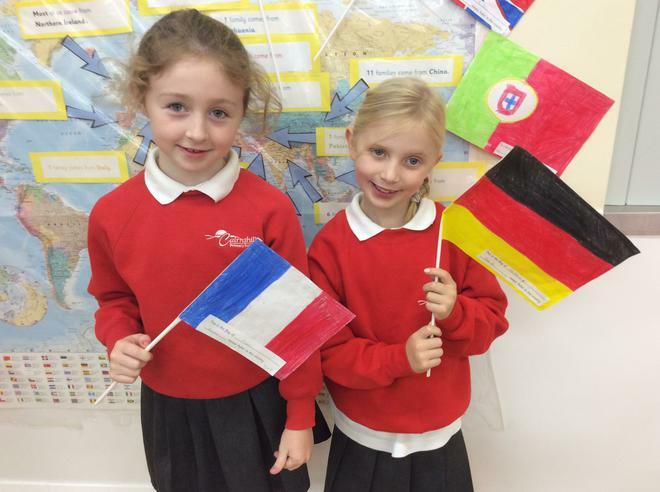 The P.4 children began Cairnshill’s celebration of European Day of Languages with a special Assembly. 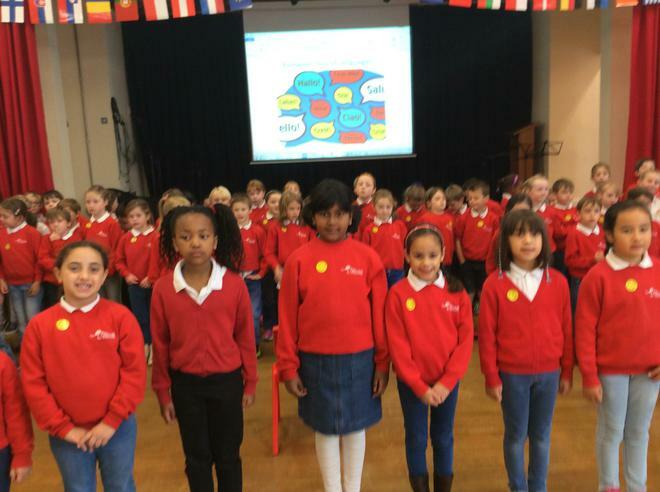 Key Stage 1 teachers and children were greeted in nine different languages before the entire year group sang their “Hello around the World” song. 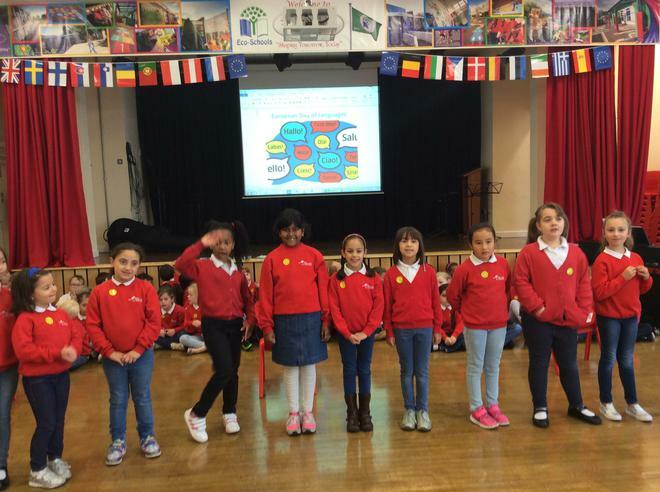 The Assembly Hall was bedecked with colourful flags made by P.4 with lots of “Hellos” written on too. 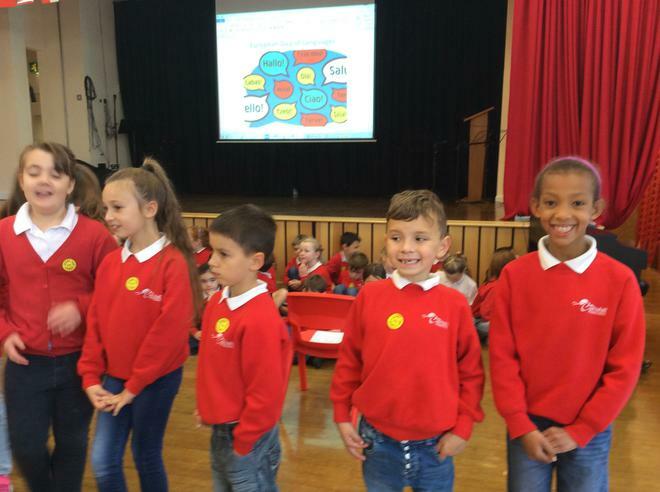 On 26th September (European Day of Languages) the children distributed special stickers throughout the school, where many different languages were spoken and celebrated!